As I mentioned in a previous article, new cleaning products are on their way! We were able to try these wonderful new products at conference and soon you will be able to try them yourself, in your own home. Looking for all-natural, safe plant-based, non-toxic cleaning products? Our new J.R. Watkins Natural Cleaning Products feature formulas that are both biodegradable and phosphate free. These ultra concentrated cleaners are naturally derived so they are safe for the environment, your home and your loved ones. 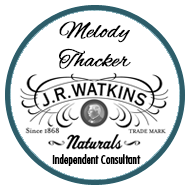 J.R Watkins Natural Cleaning Line features four clean fresh scents. Our plant based formulas are fragranced with natural lemon, lavender, rosemary and orange oil as well as extracts from palm and coconut. These naturally delightful aromas will leave your home smelling fresh and sparkling clean . . . naturally. All-Purpose Cleaner and All-Purpose Cleaner Concentrate in natural Aloe and Green Tea, Lavender or Lemon fragrances for all your cleaning needs. Aloe and Green Tea All-Purpose wipes! Convenience in a safe, flushable and biodegradeable wipe. Great for quick clean-ups in the kitchen, bathroom, on the go in the car or anywhere! Liquid Dish Soap in natural Aloe and Green Tea, Lavender or Lemon fragrances. The wonderful scents make doing dishes a pleasure as you suds away food and grease. Window Cleaner in natural Aloe and Green Tea or Lavender fragrances for sparkling results. Lemon Liquid Laundry Detergent Concentrate, you only use an once per load and it’s is great for all types of washers. Citrus Tub and Tile Cleaner cuts through soap scum and hard water stains with out harsh chemicals. Lemon Toilet Bowl Cleanser works to decalcify the bowl with a cedar based formula that also reduces mold and mildew. Lemon Furniture Polish cleans, conditions and protects your wood’s natural finish in an easy to use spray and wipe formula. You can get all these wonderful products starting on August 1/07 at my WatkinsStore.